Marc Miller is a trial lawyer and appellate advocate who represents clients in real estate disputes, administrative agency litigation and corporate governance litigation. He represents businesses, developers, institutions, lenders, hotels, landlords and tenants on land-use, development, commercial lease and property-management disputes and matters. Mr. Miller has substantial experience in commercial litigation and commercial arbitration. 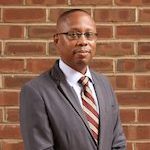 He handles complex contract and business litigation, and has tried or arbitrated numerous cases in the state, federal and appellate courts of Virginia and the District of Columbia.